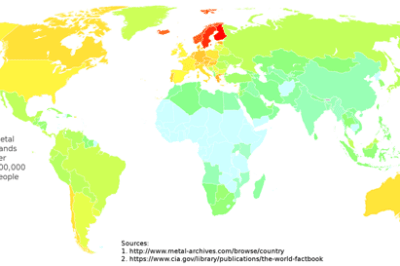 Map and table showing where heavy metal bands are the most dense when compared against a country’s total population. GIS interview with Ryan Resella about his experience last year and his outlook on geospatial technologies. Ryan has just begun his first year as a permanent member of Code for America’s team after thriving as an inaugural fellow last year with the program. Read More »GIS field, is spatial special? Map of Irish Surnames from 1890 Census. 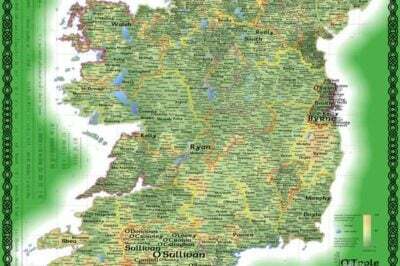 Maps and cartography relating to St. Patrick’s Day which is celebrated on March 17th each year. Find maps about Irish surnames and the geography of St. Patrick’s day from the US Census.